If you are looking for intelligent, mature, and rather passionate TV, I highly recommend “The Looming Tower” on Hulu. It’s a story of 9/11 and how it could have been prevented — maybe — but not for the stupidity and arrogance of a few people. It makes you want to cry. The 10-part series is based on the book of the same name by Lawrence Wright, published in 2005, which is largely a history of Al-Qaeda and its forerunners such as the Muslim Brotherhood. The filmmakers chose to focus on the still-controversial matter of the rivalry between the CIA, focused on foreign intelligence, and the FBI, which was trying to keep the bad guys out of the US or arrest them if they got in. The story turns particularly on the horrible fact that the CIA was aware that at least two Al-Qaeda guys had gotten into the country, and not only failed, but actively refused, to tell the FBI about it. The villain is a character named Martin Schmidt (played very well by Peter Sarsgaard), whom the filmmakers seem to claim is a composite but is actually based very closely on the real-life Michael Scheuer, head of the CIA’s “Alec Station” that was tracking Al-Qaeda and Usama Bin Laden. In the film and in real life, he took a very narrow view of his responsibilities and refused to share vital information with the FBI. Some suggest that CIA was trying to recruit the bad guys as informants, and thus wanted to keep the FBI off their backs. In real life, Scheuer has ended up as a right-wing, isolationist, Israel-hating, Patrick Buchanan-loving crank, who supported Trump at first but now denounces him because Trump is apparently not crazy enough for him. And he was in charge of chasing Bin Landen. Oh, and he and Bikowsky got married. You can’t make this stuff up. 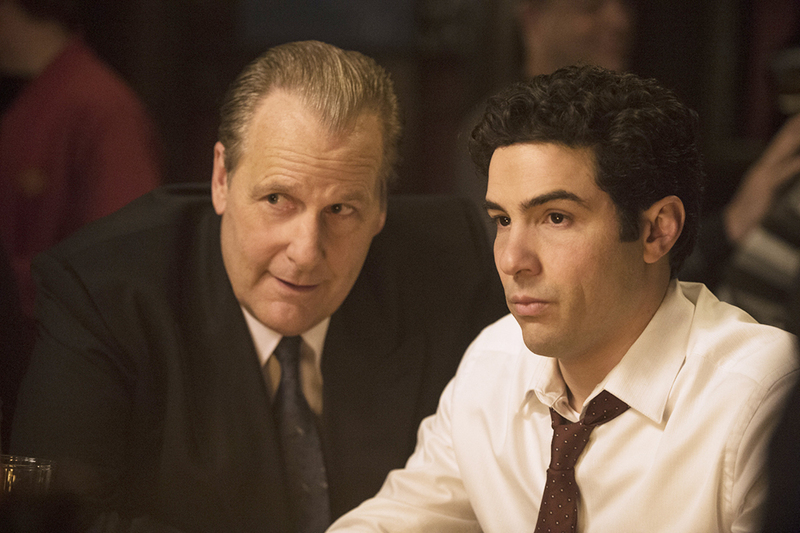 John O’Neill (Jeff Daniels) and Ali Soufan (Tahar Rahim) confer. The hero is Ali Soufan, a Lebanese-born FBI agent who was one of the tiny handful of people in the government who could actually speak Arabic as of 2001. The hero is also credited as a producer of the film. Odd how that works. The saddest character is John P. O’Neill (Jeff Daniels), head of counter-terrorism for the FBI’s New York field office. His vigorous attempts to fend off attacks rubbed many people the wrong way and contributed to his leaving the agency. He joined the World Trade Center as head of security. His first and last day, according to the film, was 9/11. The film is a little slow at points, but it covers a tremendous amount of ground and provides some indelible portraits. I may never root for Condoleeza Rice again.